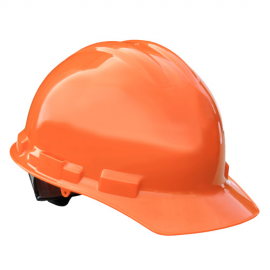 The Occupational Safety and Health Administration (OSHA) guidelines for head protection are referenced in 29 Code of Federal Regulations (CFR) 1910.135 and 1926.100. 29 CFR 1910.135(a)(1) states, "Each affected employee shall wear protective helmets when working in areas where there is a potential for injury to the head from falling objects." The standard also addresses situations in which electrical hazards are present. 1901.135(a)(2) requires that workers who perform tasks close to exposed electrical conductors should wear hard hats engineered to shield against shocks. The OSHA standards themselves do not identify specific occupations or applications where head protection is required; Appendix B to Subpart I Part 9 lists some examples. 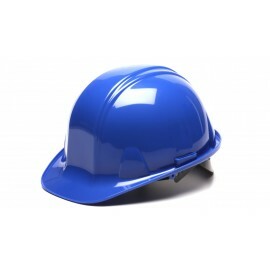 Is your hard hat older than 4 years? 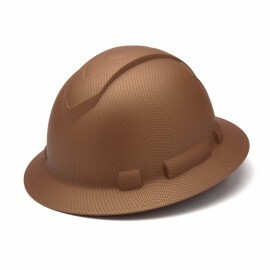 Is your hard hat fading, chalky or brittle? Is your hat dented, cut or deeply scuffed? Has your hat suffered an impact? Do you leave your hard hat in your car? It may be time to replace your hard hat. 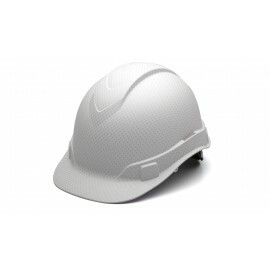 A full selection of hard hats can be found here. 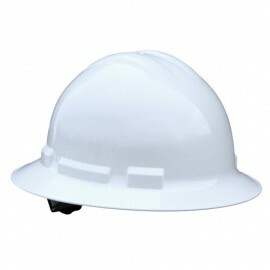 The 3M Uvicator provides an easy to read UV damage indicator that tells you quickly when it is time to replace your hard hat due to sun damage. Providing vented cooling, suspension system and 3M quality, the Uvicator can help you keep safe in a rough job environment. 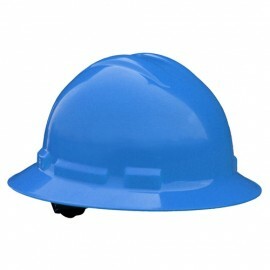 While OSHA does not indicate a hard expiration date for hard hats, they do expire and become less effective over time. Sun can damage the plastic material. 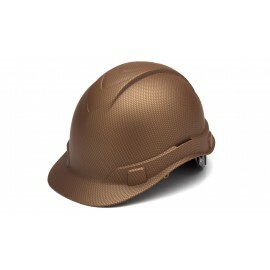 Sweat, liquids and other substances encountered in your daily job may cause your hard hat to deteriorate over time. If your hard hat shows any form of damage or experiences an impact event, you will want to replace it. After all, it is cheap insurance for your most valuable head! The appendix also provides examples of general applications where head protection should be worn. 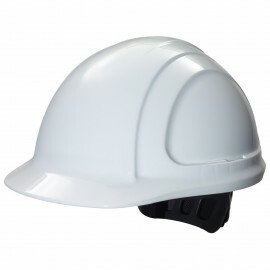 In terms of what constitutes a "protective helmet," 29 CFR 1910.135 makes a distinction between hard hats purchased prior to July 5, 1994, and hats purchased after that date. 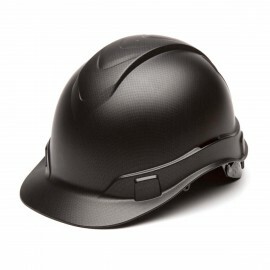 Helmets purchased after July 5, 1994, must comply with the performance guidelines in the ANSI Z89.1-1986, American National Standard for Personal Protection-Protective Headwear for Industrial Workers Requirements. 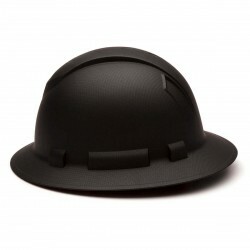 Hats obtained before that date must comply with the 1969 version of the ANSI standard (ANSI Z89.1-1969). In 2003, ANSI published a revision to the Z89.1-1997. The most significant changes from the 1997 version were made to harmonize with other national standards that test and evaluate equipment performance. 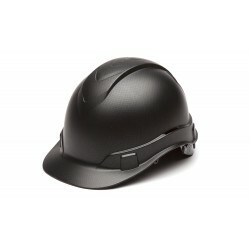 Many physical requirements for helmet components that did not provide added user value, limited design or inhibited top performance had been removed. ANSI/ISEA Z89.1-2009 revised ANSI Z89.1-2003. Important updates revolve around markings and testing procedures. 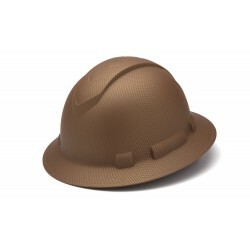 Additionally standards were set for if hard hats meet the standards when worn in reverse amongst a few other updates. ANSI/ISEA Z89.1-2014 was prepared by the members of ISEA's Head Protection Group as a revision to ANSI Z89.1-2009, and approved by a consensus review panel of users, government agencies and safety experts setting forth requirements for hard hats of type I or type II - and marking requirements for all protective head gear classified as a hard hat. ANSI published a revision in January of 2009. The significant changes from the 2003 version are three non-mandatory tests and are easy to understand. Each of these tests, if elected to be tested by the manufacturer, will result in three new markings on the helmet. Reverse Donning: Helmets marked with a "reverse donning arrow" can be worn frontward or backward in accordance with the manufacturer's wearing instructions. They pass all testing requirements, whether worn frontward or backward. 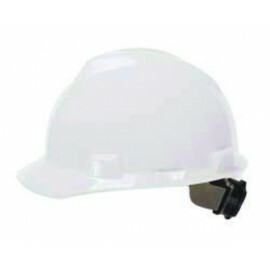 Lower Temperature: Helmets marked with an "LT" indicates that the hard hat meets all testing requirements of the standard when preconditioned at a temperature of -30°C (-22°F). High Visibility: Helmets marked with an "HV" indicates that the hard hat meets all testing requirements of the standard for high visibility colors. This includes tests for chromaticity and luminescence. Type I - Designed for impacts to the top of the head. Type II - Designed for off-center, side or top impacts. 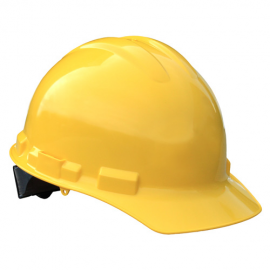 OSHA does not specify the service life of a hard hat, and there is no standard expiration time frame for hard hats. 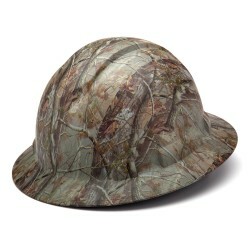 Hard hat life span may vary depending on the conditions of each work site. 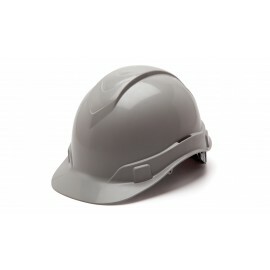 As a general guideline, most hard hat manufacturers recommend replacing hard hats every five years regardless of outside appearance. 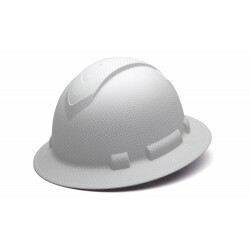 If you work under extreme conditions, such as exposure to high temperatures, chemicals, or sunlight, hard hats should be replaced after two years of use. 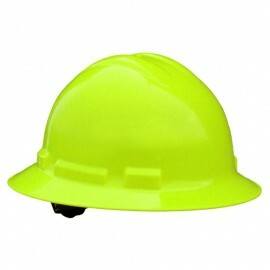 In addition, some manufacturers even recommend replacing the suspension in your hard hat every 12 months. It's important to review each work site to ensure that degradation of employees' hard hats is not being accelerated due to work conditions. Q. Can I put decals on my hard hat? A. In most instances, yes. Q. Can hard hats be painted? 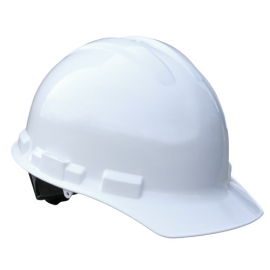 A. ANSI Z89.1-2003 Appendix A4 states that caution should be exercised when painting hard hat shells since some paints and thinners may attack and damage the shell and reduce protection levels. The hard hat manufacturer should be consulted before painting. A. Most likely. Check the helmet for the "reverse donning arrow" marking. 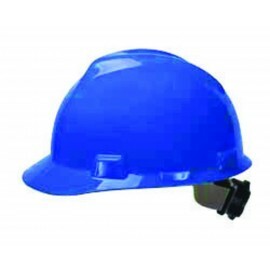 The current 2009 edition addresses the issues of reverse wearing of hard hats. The standard now provides a non-mandatory test protocol that will allow manufacturers of hard hats to test the helmet and mark it with the "reverse donning arrow." 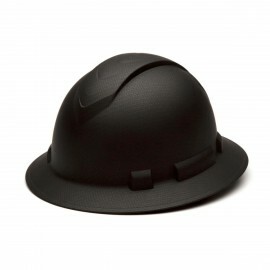 This means the helmet can be worn frontward or backward in accordance with the manufacturer's wearing instructions.